Is Your Company Culture an Imitator or the Real Deal? Culture is the latest must-have business strategy. Today, most leaders know that building a “Great Culture” (based on stories told by Facebook or Google or Zappos) is on par with a great product. You gotta have one to succeed. Especially in the tech industry – in part, because the talent in those industries is in hot demand and can choose where to work. Like reengineering and TQM in the 90’s and Lean in the 2000’s, the culture fad has noble and legitimate success stories. And as is true with all fads, there’s imitation, fraud and lip service by people who want all the goodness without doing the real work. If you are in a market or business where smart or talented or committed people are necessary to succeed, you likely have expanded budgets and attention on Vision-Values posters, ping-pong tables, happy hours, yoga classes and other employee perks. And yet, a great workplace where great employees WANT to stay and feel they are thriving, is built on specific and concrete leadership practices. These are still the exception more than the norm. (With all the hype about culture, it seems they would be more commonplace.) Yet, there are MANY cool company cultures with great success and “best workplace awards” where people are still treated as expendable and secondary to profit. On the flip side, I have seen numerous rough-and-gruff work environments that are low-key about culture hype, where the top leader would give the clothes of his or her back to make sure people are treated as the essential heartbeat of the business. The nice trappings of culture may not exist, but the spirit is alive and well. This difference is subtle but powerful. It is defined by authenticity at the very top. And, a knack and commitment to hiring people who have that same desire (to be authentic and passionate) – and this cascades all the way throughout the management ranks. I’m not talking about cultures that are brutal, hard work environments and are honest about it. I openly acknowledge that building a culture in a large company that performs financially in brutally competitive times AND prioritizes employee happiness, is no small feat. (Recalling the New York Times article about Amazon in 2015, and their rebuttal 15 months later). In Amazon’s case, the company acknowledges theirs is a tough work environment to work in; at the same time that is is challenging and exhilarating to be part of something that revolutionizes customer service. In this case, you make a choice to work there knowing what you’re in for. What is most important to watch for, is a company culture that is an imitation, yet suggests they are the real deal. Imitator Company Culture Sign #1: Values are Just Words on Posters. Values are (by definition) subjective. In an authentic Great Culture, values are more than a moral code to deter outright abuse. They are a signal that people in power care for the impact decisions have on the masses, and how people work together is as important as what is accomplished. A leader who is authentic in building a values-based culture, knows it takes consistent communication, visible effort (for example, some hard people choices) to ensure leaders’ decision making and communication lines up with the desired values. This leader also knows that building a values-based culture is not in competition with profitable growth. That it takes time to build widespread trust in the values. And that, at times, they know people will feel that the Values were not considered (when they don’t like the outcome) even while their intention and effort around values is deeply sincere. If your company leaders do not regularly reference the Core Values (especially in people decisions likes hiring, promotions, and firing) it’s likely they are little more than window-dressing. When I was working on a project at GE’s famous Crotonville facility, you could not ignore the core values (which they call Beliefs) – they were projected on screens everywhere you went. Leaders are expected to show how their decisions align with these beliefs, even as the sheer size and scale of 350,000 employees globally, ensures they will not always be interpreted the same. Imitator Company Culture Sign #2: Leadership is Lip Service. We are in the Knowledge Era, in which people make or break a company’s success (not technology.) In an authentic Great Culture, leadership matters. A LOT. Another key signal of leadership importance, is how well the company identifies and grows them from the ground-up. Do first-line managers collectively act in service of their employees’ success? Or is there a snake pit of competitive energy that spawns cutthroat behavior to climb over people’s backs to succeed? 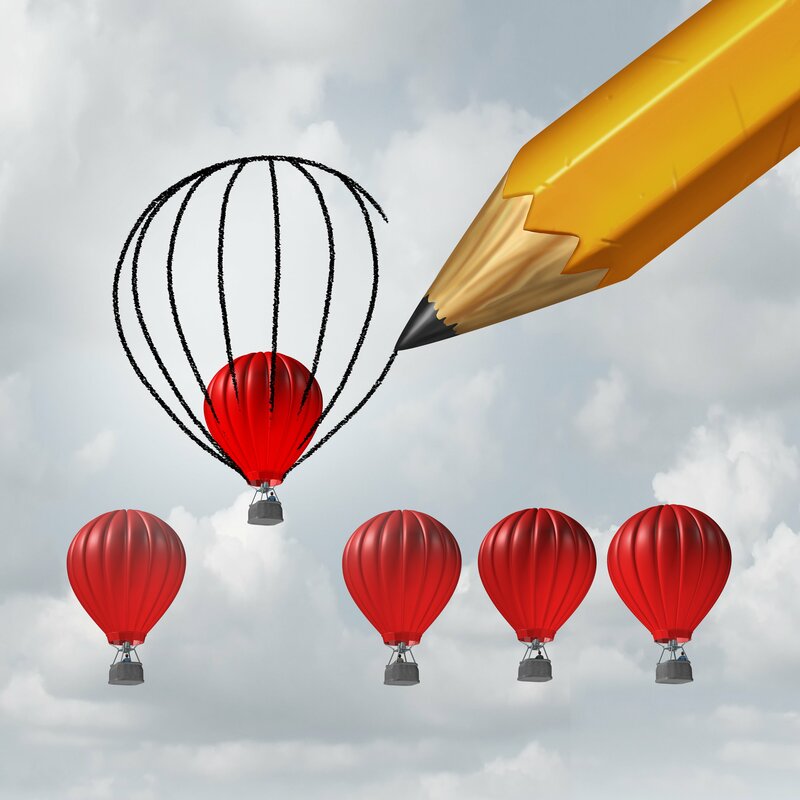 Do you know how “Friendly Competition” plays out day to day among leaders? A little internal competitiveness can be a good thing. And, it can easily turn on itself, if the stated core values are not embedded into leaders’ behavior. Watch what happens when resources are tight or growth is flat or there’s a setback. Do leaders visibly show effort to collaborate and cooperate to solve the problem? This a good sign of an authentic effort to build a culture where leaders model leadership. In an era of rapid change, ongoing profitable growth depends on people renewing themselves, first and foremost. In an authentic Great Culture, leaders at every level constantly look outside their small world to grow, to adapt, to renew. They believe their ability to effectively lead the organization’s renewal and growth depends on it. These companies commonly offer sabbaticals at all levels, celebrate the successes of people who have left the organization, and ultimately welcome them to come back. When an organization has flat revenues across multiple product lines, eroding profits, high turnover, look deeper: Is change really embraced? 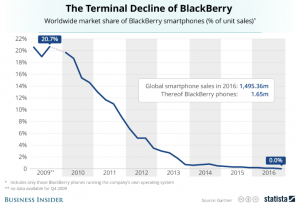 Over heard in the Blackberry C-suite in 2010 and 2011, “Don’t worry, it’s just a short term decline, we’ll come back”. Do leaders at all levels in your company seek to grow, be better, change personally? Are they in constant questioning and renewal? Or is there an attitude that “rising is earned” – after you’ve got the top job you can relax? A culture where people and leaders are not pursuing constant change, IS stagnating. (Especially when change initiatives are pushed harder and faster, yet leaders are not personally modeling change and openness to new ideas in their own day-to-day. Imitator Company Culture Sign #4: Listening is One-Way. The single most powerful way to value people is to LISTEN to them, and then act on the information. In an authentic Great Culture where people really matter, this is built in as a daily habit. Real trust-based communication in a company that has this habit is two-way, ongoing, and transparent. Do you notice that achieving financial or market success has an oddly megaphone one-way quality? That following long hours and rah-rah town halls, celebration is mostly about the company’s success? While one or two heroes might be acknowledged, there’s little dialogue or inquiry happening among employees and managers? Another sign of listening: The company has multiple career development pathways for its people (the #1 criteria for Millennials, who will represent 50% of the workforce by 2020). Are there ways for people to take on new challenges with new teams – even if they don’t get a promotion to a higher position? Is receiving meaningful and regular feedback about performance from a well-trained manager ongoing, or luck of the draw? In this kind of culture, engagement surveys are sent to employees, but they never hear what the company is doing to improve the scores. Change initiatives are rolled out with no awareness or attention to the avalanche effect on the people who are expected to implement. Slowly but surely, the company weeds out smart, talented people and keeps employees who can keep their mouths shut. Ensuring that eventually, customers won’t listen either. Culture-Imitator Sign #5: Performance is Demanded (Versus Cultivated). Culture is visible through symbols: Who are the heroes? What are the stories told over and over? What visible symbols exist in the environment? The heroes, stories, and symbols in an authentic Great Culture are of people wanting to give more effort, because genuine creative effort is appreciated, cultivated, and celebrated. In an organization where fear is used as a motivational tool, there is a “Perform at all costs” mentality – and the heroes and symbols reflect that. “No excuses here.” “You’re only on top until you make a mistake.” “You’re expendable.” This negative environment usually ends up cultivating the very opposite of what is wanted. Performance may look good for awhile if the product is good, but eventually the smartest, most talented people leave. Beating the horse harder ensures it will not run faster over time. When a company’s leaders are authentically and visibly appreciating and serving the people who have chosen to serve it, you feel it and you see it – tangibly. You may choose to work in a culture that demands performance, for the glory or to build your resume, but that organization will never earn your loyalty. These Imitator Signs are the tip of the iceberg in the 18 years I have been working to help leaders transform their workplaces. What are others you’ve seen? Please make your comments below. Meanwhile, always remember you HAVE a CHOICE. Deciding where to invest your life energy in exchange for a paycheck IS becoming more commonplace. And, aligning your talents with a Real Deal Culture, ensures you’ll be in the company of those who chose the same. © 2019 Corporate Culture Pros. All rights reserved.